TODAY NICARAGUA, MANAGUA— Haters will tell you that Nicaragua’s capital city is a squat, squalid and disagreeable dump. Then they’ll point to the excess of Christmas clutter, Chávez idolatry, and tacky tableaux festooning every intersection across the city as compelling evidence that Managua should not be trusted to dress herself, and probably could benefit from some professional help. But as someone who has had an off-and-on love affair with this city for more than a decade, believe me when I tell you that Managua has never looked better. In fact, she’s positively radiant. Since the Sandinistas returned to power in 2007, Managua has undergone a dramatic makeover from a cheerless and dimly lit stretch of urban sprawl, to a deliriously illuminated wonderland of government-manufactured joie-de-vivre. Simply put, the city, which was left for dead after the 1972 earthquake, hasn’t been this much fun since Guy Lombardo’s big band orchestra sang about her in the mid 1940s.? 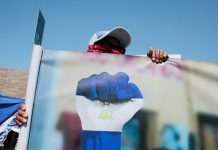 It seems hard to remember now, but less than a decade ago, during the dying days of neoliberalism, Nicaraguans were literally stumbling around in the dark amid constant blackouts that lasted upwards of 7 hours a day. 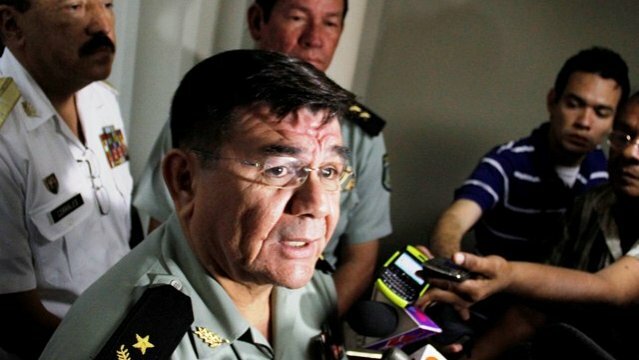 Then President Daniel Ortega came back to power. 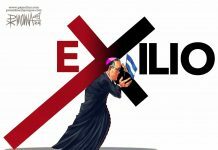 And with generous help from Venezuelan comrade Hugo Chávez, who ponied up an average of $500 million per annum during the Sandinista government’s first eight years in government, Ortega able to get the lights back on in Nicaragua. Now they won’t go off. Under the creative direction of First Lady Rosario Murillo, Managua is living an eternal celebration of light in the form of 2.5 million tiny Christmas tree bulbs that shine festively from approximately 150 pastel-painted “trees of life” that tower 42 feet above the city’s streets. Today, Managua looks like a brilliant, Seussian dreamland—the type of place where you immediately want to settle down and raise a family. Nicaragua’s right-wing media has routinely criticized the government’s decision to spend millions of dollars on its tin-tree reforestation project. 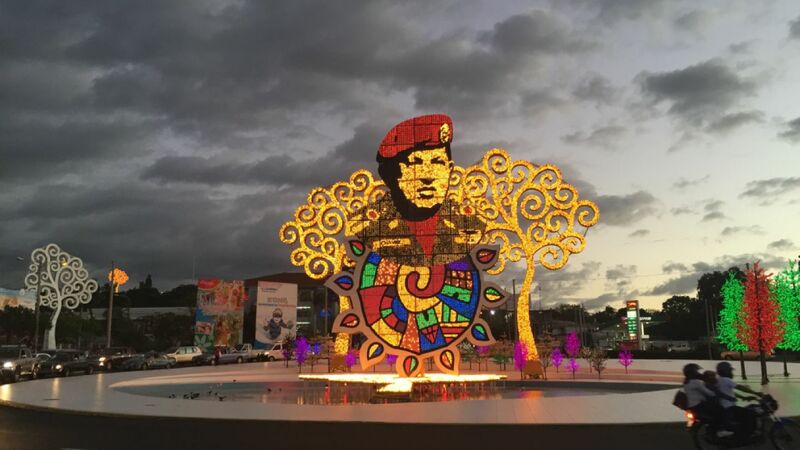 The $3 million-plus that the Sandinista government has already spent bedazzling Managua with fake trees over the past year could have gone towards education, housing, healthcare or other bunco schemes, the opposition whines. But I, for one, am glad the money was spent on something that will have a lasting and beautifying effect on Managua’s cityscape—at least until the bulbs burn out, the paint starts to chip, or the trees are felled for scrap metal. Managua’s ever-expanding forest of metal trees now lines the entire city center. They can even be seen from outter space, like a giant lollipop landing strip beckoning aliens to come visit Nicaragua and help with the stalled inter-oceanic canal project. The trees—together with images of Santa, Sandino, Daniel Ortega, Chávez, and the Virgin Mary— form part of Nicaragua’s unique brand of syncretism, which seamlessly blends the first lady’s views of socialist revolution, Christianity, and the mysticism of miracle-working Indian guru Sai Baba. Murillo has a thing for fake trees. The colorful trees of life—known affectionately as arbolatas— are actually the replacements for her previous effort to reforest Managua with giant concrete Christmas trees, which were lit every night in eternal yuletide gaiety. But after about 850 consecutive days of Christmas, Murillo decided Managua was finally ready to move past the holidays and ordered the fake Christmas trees removed and replaced by whirligig trees of life, which—at only $25,000 a pop— continue to go up every day across Managua, making all the real trees feel inadequate, short and ugly. This collection of clutter may seem a touch odd to the outside observer. But it’s brazenly, unapologetically, and wonderfully Nicaraguan. You really gotta admire a country that’s willing to let it all hang out. Few governments in the world have the audacity to say, “You know what, screw it, let’s bling out the entire capital with gaudy curlicue trees…just cause.” And even fewer governments have the courage to actually follow through on such a rash proposition. But for Nicaragua, this stuff comes naturally. So shine on you crazy diamond.